We’d love your help. Let us know what’s wrong with this preview of Blood Island by Samantha Coville. Now, for the protection of the soon to be heir to the throne, Raya and her friends are sent to an unmarked island where Sirens walk in the With Elizabeth on the loose and Byron free to roam the halls of headquarters, the Siren community is on edge, waiting for the impending first strike. To ask other readers questions about Blood Island, please sign up. Blood Island picks up right where Blood Oath leaves off. Elizabeth is on the run after her failed attack on Christopher and Bryon has basically become a prisoner at headquarters. 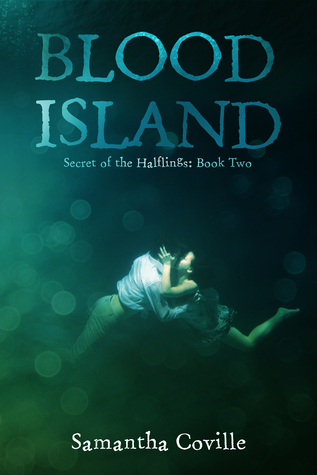 Christopher decides to send Raya and her friends to Haimos, a siren island with an ally colony. Of sirens and Haflings. Raya is looking forward to staying on the island and being around her own kind. The water is pure, she's not the only one eating human food, and she's hoping to spend time with Drew. But she's haunted by Blood Island picks up right where Blood Oath leaves off. Elizabeth is on the run after her failed attack on Christopher and Bryon has basically become a prisoner at headquarters. Raya is looking forward to staying on the island and being around her own kind. The water is pure, she's not the only one eating human food, and she's hoping to spend time with Drew. But she's haunted by nightmares that leave her afraid of sleeping and feeling towards Issac that she doesn't want to think about. Plus her island guide and fellow halfling Orian my have the secret to being as strong as a siren and she wants to know. Bookworm, college student (Go Knights! ), and theme park addict are all perfect terms to describe me. I'm also an avid writer and my novels BLOOD OATH and BLOOD ISLAND are available now on Amazon!